‘The Dandy Pig’ is the much-loved mascot of the Dandenong Market. The neon sign of a finely dressed pig cheerfully tipping his top hat welcomes shoppers to the Market. The sign was originally part of a larger sign that incorporated the Gippsland Co-operative Bacon Curing Company logo and was first erected in 1950, making it one of the first animated advertising signs in the region. The Dandy Pig was located above the Dandy Bacon Shop on the west side of Londsdale Street (Princes Highway). When the factory closed in 1983 the sign was removed and placed into storage. 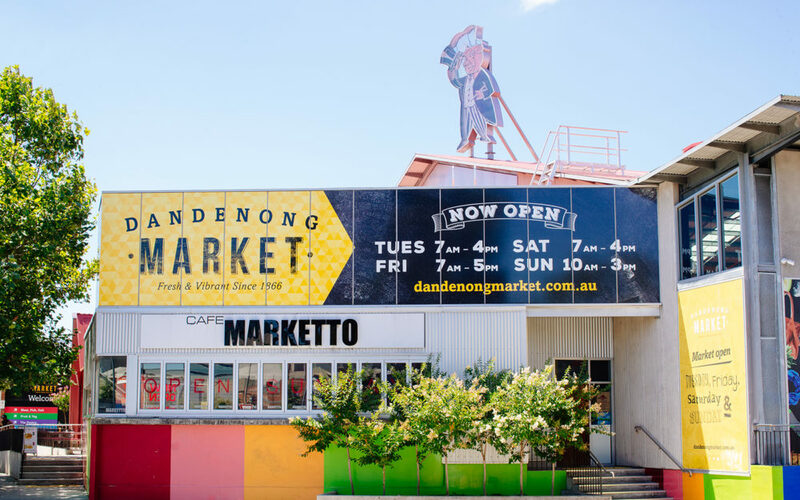 In 1993, as an acknowledgement of the sign’s social, cultural and historical significance in Greater Dandenong, the Dandy Pig was given a new lease on life when it was recovered from storage and erected at the Dandenong Produce Market on Clow Street. A few years later, after some minor conservation work, The City of Greater Dandenong unveiled the refurbished sign on 6 December 1995. During the $26 million redevelopment of the Dandenong Market, the sign was taken down and placed safely into storage. On 30 August 2013, City of Greater Dandenong Mayor Angela Long officially celebrated the reinstallment of the Dandy Pig to its rightful place at the Dandenong Market. In 2015, Australia Post released a limited edition series honouring Australia's most beloved and historically significant neon signs, including The Dandy Pig. 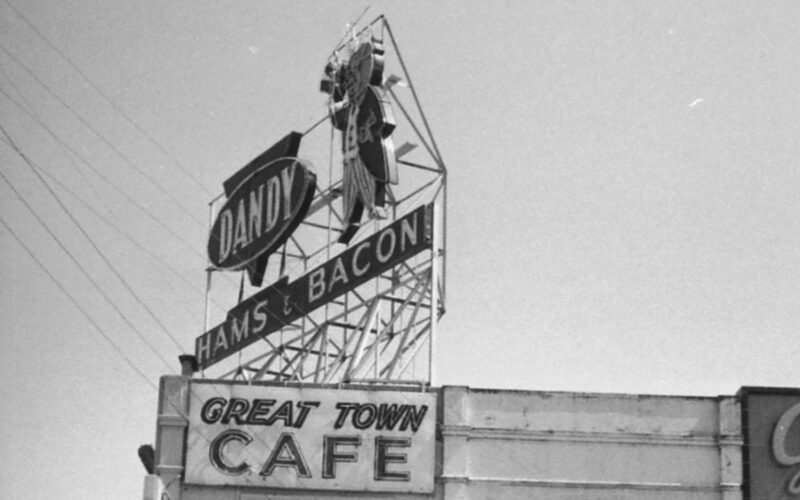 A prominent local landmark, the Dandy Pig can be seen by residents and other people passing through the gateway suburb of Dandenong.